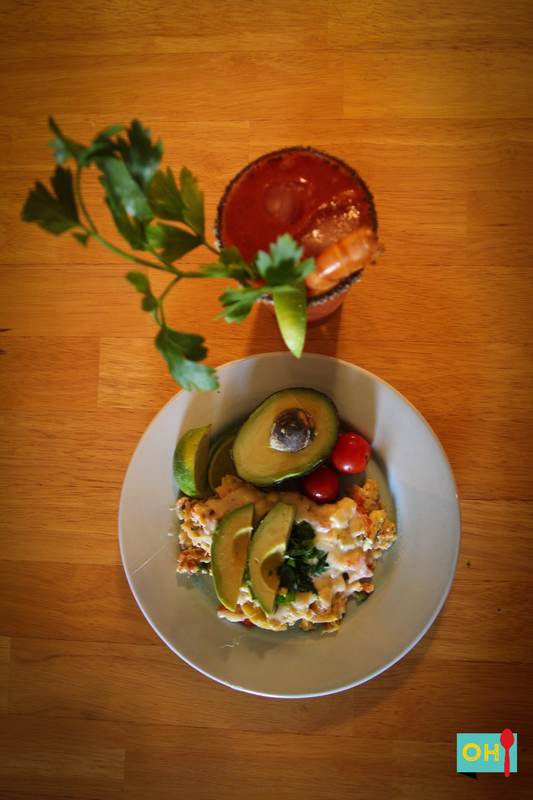 On a quest for the perfect brunch, we have found quite the forerunner: Lump crab migas paired with a bloody maria. 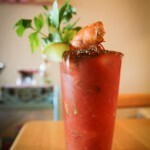 What’s a Bloody Maria, you ask? 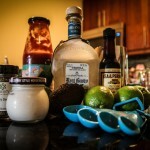 A Bloody Maria is a Bloody Mary subbing tequila for the vodka. Seeing that we had recently acquired a free bottle of Real Gusto Blanco Tequila for testing, it just made sense that we’d try this new twist. We did two trials to find the perfect recipe and we’re happy with the final recipe below. Try this combo for your next brunch with friends. 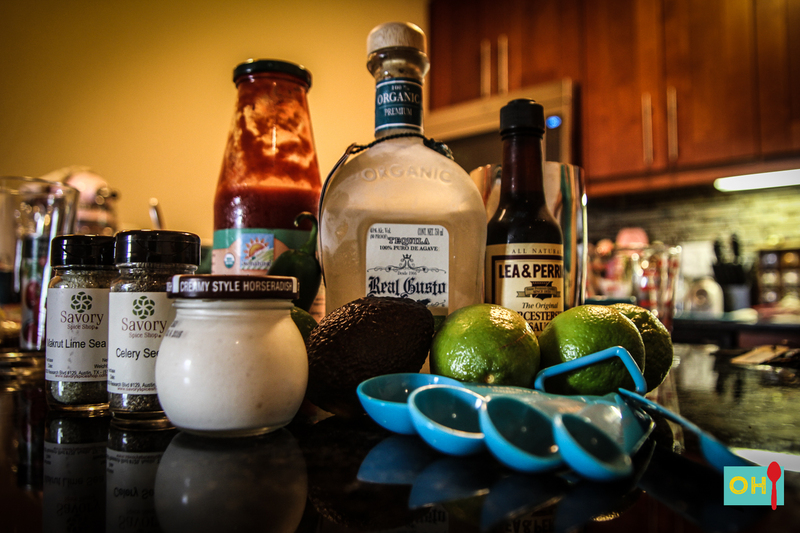 Here’s the basic Bloody Maria recipe. Pour all ingredients into a blender (or Nutribullet) and blend. 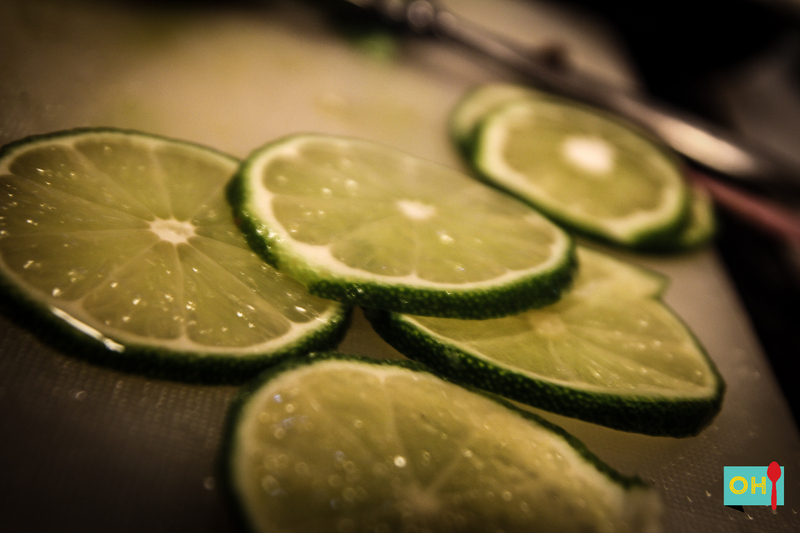 Rim a pint glass with Makrut Lime Sea Salt. Garnish with Habanero Smoked 16/20 Shrimp, a slice of avocado and a sprig of cilantro. Migas are one of my favorite things in the world. 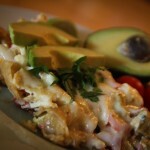 Other favorites: crab and avocado. So, this recipe has pretty much everything beloved in my life. 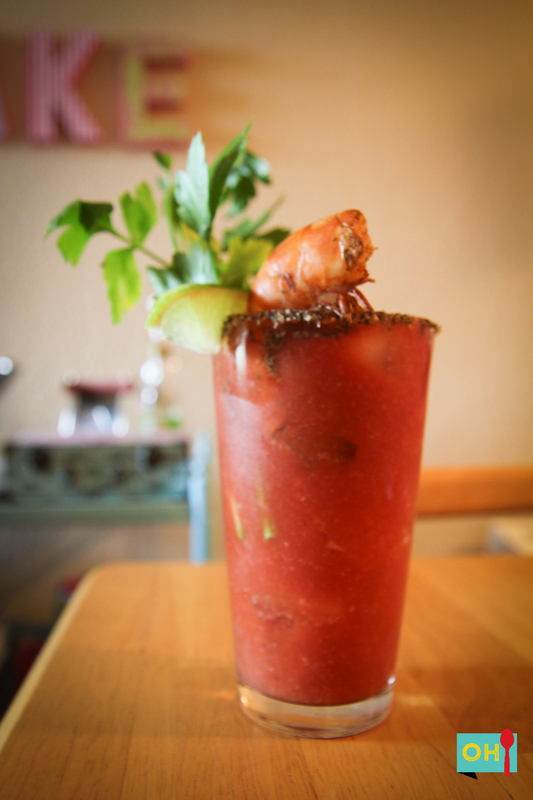 The seafood migas compliments the Bloody Maria perfectly so that I can’t imagine one without the other. 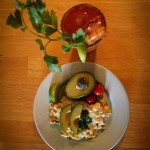 If you’re not from Austin, let me explain to you the wonderful world of migas. Originally stolen from Mexico and Spain, this Tex Mex favorite has become an Austin staple. Migas by definition, means crumb—basically made from leftovers, such as tortillas or tortas. In the Tex Mex version, onions, tomatoes and jalapenos are diced and thrown in along with fried tortilla strips and generally served with guacomole, avocados or salsa and smothered with queso or cheese. 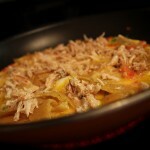 To cook, pour a thin layer of olive oil in a medium-sized pan. Heat on medium high. When hot, add a layer of pico de gallo (about 1/3 cup) to the pan until heated throughout. 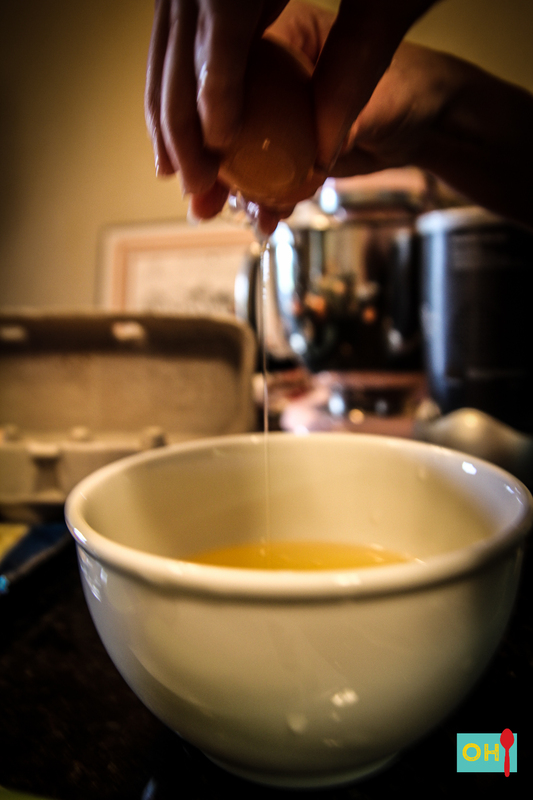 Meanwhile, whisk five eggs seasoned to liking with pepper and salt, in a bowl. 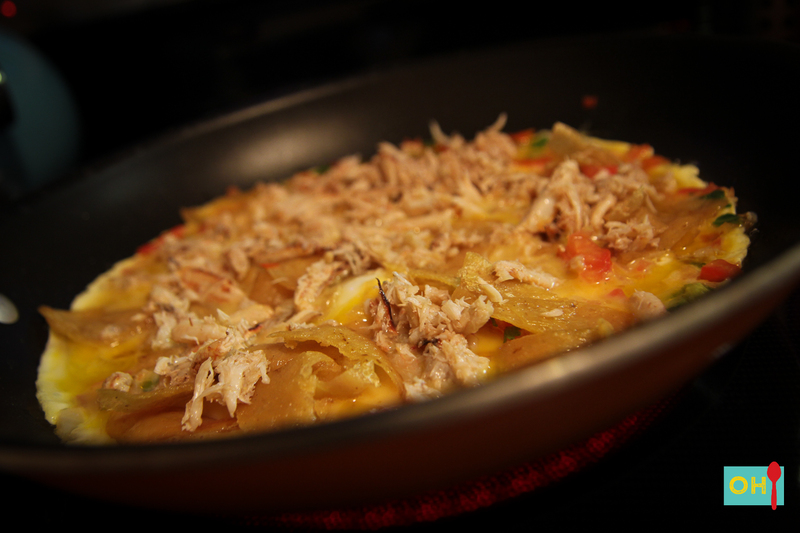 Pour eggs into pan and pour crab and fried tortilla strips over eggs as it begins to settle. 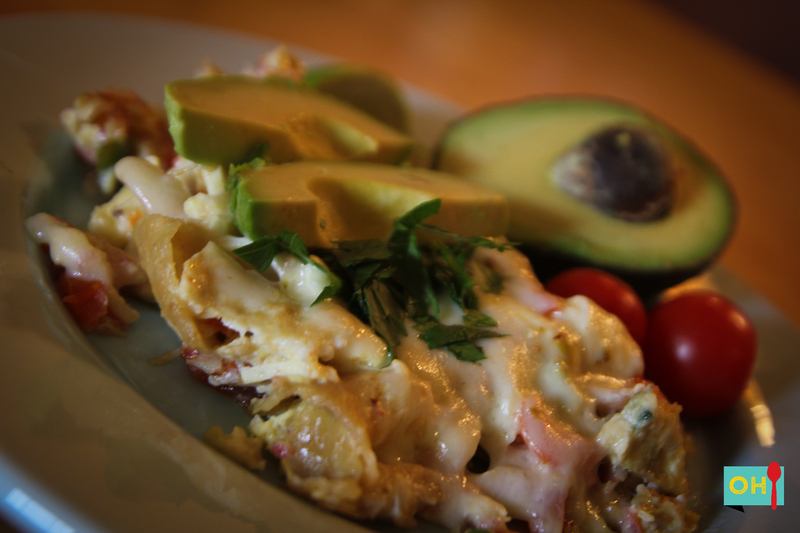 Scramble eggs. 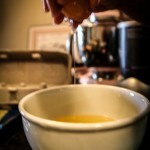 Under cook eggs by about 2 minutes, add pepper jack cheese slices across the eggs and cover and let melt for 2 minutes. 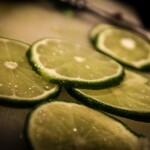 Garnish with fresh cilantro, avocado and lime. *We should note that pico de gallo is not the same thing as salsa. Salsa is generally chunky and blended, where as pico de gallo consists of tomato, onion and jalapeños only—very finely chopped. No seasonings, no fanciness, but it’s good stuff. This is the perfect end to a long weekend!